With so many shaving gels and creams to choose from, how do you know which one is right for your specific shaving needs? Using shaving creams and gels is an essential step. 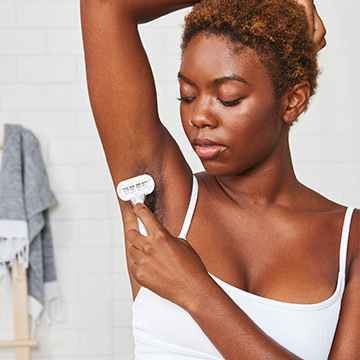 They preserve moisture while you shave, help razors glide across the skin more easily and help you track your razor strokes so you don’t miss a spot. But with so many options available, how do you know which one to choose? If you have sensitive skin, you want to choose a shaving cream that is free of irritants. Select a shave gel that’s specially formulated for sensitive skin to ensure you’re still getting the hydration and protection you need without the ingredients that can irritate your skin. Some shaving products can dry out your skin, which is especially bothersome if your skin is prone to dryness already. Use a shaving gel with glycerin, which helps the skin attract and retain its own natural moisture, leaving your skin feeling healthier and more hydrated when you shave. If you want to smell fresh, try a scented shaving gel. There are tons of shaving creams with fun fragrances. So pick one that most appeals to your sense of smell while supplying you with the hydration benefits you need when shaving. 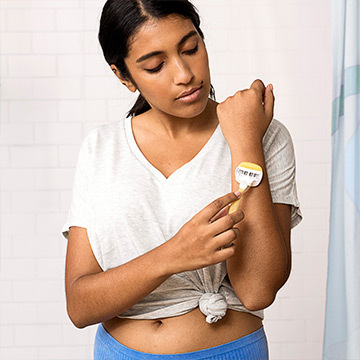 Before you apply shaving gel, one key step is to make sure your skin is well-hydrated by soaking the area you plan to shave in warm water via a shower or bath for three to five minutes. Then using shaving gel helps preserve this moisture. If you want a faster way to wash and shave, try a shaving gel that combines body cleansers and shaving cream to gently cleanse and moisturize your skin at the same time. If your skin needs an extra boost of moisture while you shave, try a shave gel that’s made with an advanced moisturizing formula. These shaving gels are typically designed to shield your skin when shaving in an extra layer of hydration. 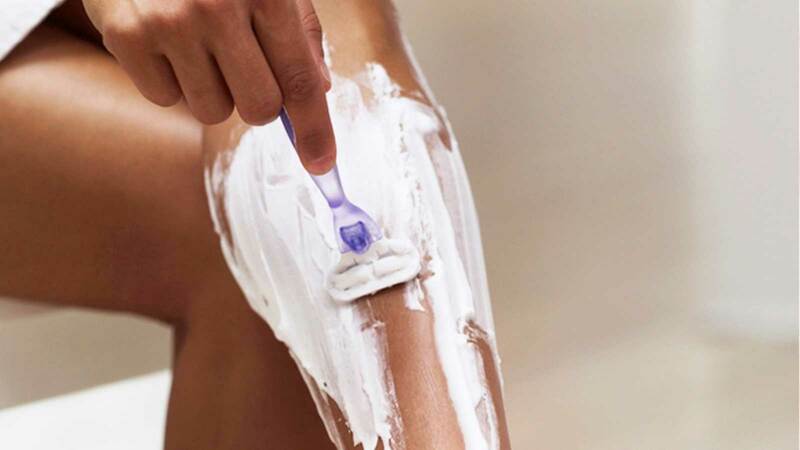 You should never dry shave which can cause razor burn, ingrown hairs and skin irritation. With that said, if you prefer shaving with a razor as your hair removal method but don’t have time to apply shaving gel, try a razor blade with built-in protective moisture bars. 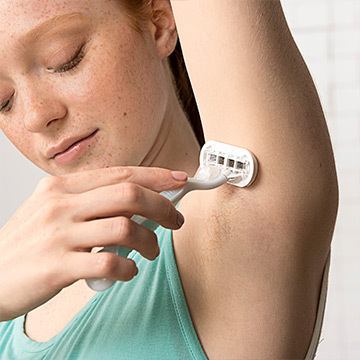 Razors with moisture bars attached still prevent skin irritation and maintain moisture, but you do not have to apply an additional layer of shaving cream before you shave. 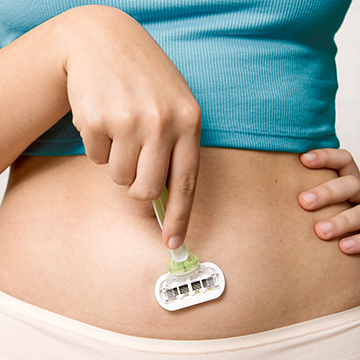 These types of razors can also feel more comfortable during use. Ready to pick the right shaving gel for you? Let us help. With so many shaving gels and creams to choose from, how do you know which one is right for your shaving needs? Here’s a simple guide to help make the decision easier.